Analysis: Kumerow busted out for 68 yards and a touchdown in Week 16, but he did not come close to replicating that showing in the regular-season finale. Kumerow showed some promise during the preseason, but he spent most of the campaign on injured reserve with a shoulder injury and only suited up for the Packers' final five games. He could get another chance to show what he can do in 2019, but he will likely have to earn his way onto the roster for a second year in a row. Analysis: The Packers were scoreless as the first half was winding down when Kumerow ran a flag route and caught a lofted Aaron Rodgers pass and cut up field for a 49-yard touchdown. The rookie more than doubled his reception count for the season during the game and just about quintupled his yardage. It's hard to tell if this is the start of something or just a blip for Kumerow. If the former, he'll have a so-so matchup against a middle-of-the-road Lions defense next Sunday. Analysis: Kumerow was a full participant at practice Friday and likely won't be limited much if at all by his hand injury. He could see a slightly increased role in the offense as the No. 4 receiver while Randall Cobb (concussion) is inactive. Analysis: Kumerow began the week as a limited practice participant but was able to practice fully Friday, though it wasn't enough for him to shake the questionable tag. Fellow wideout Randall Cobb remains in the concussion protocol and is considered doubtful, which could open up some additional snaps for Kumerow if he's available. Kumerow was a limited practice participant Wednesday due to a hand injury, Michael Cohen of The Athletic reports. Kumerow caught one pass for five yards in Sunday's loss to the Bears. 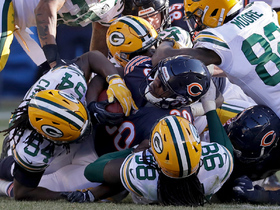 Analysis: Kumerow saw a noticeable increase in playing time Sunday, taking the field for 21 offensive snaps after playing a total of 11 over the previous two games. However, the boost did not result in any meaningful contribution Week 15. It could be a signal that Kumerow will see more opportunities over the Packers' final two games, however. Kumerow played six snaps on offense in Sunday's victory over the Falcons and was not targeted. Analysis: Kumerow played one more snap than he did the week before but did not make a mark in the box score. 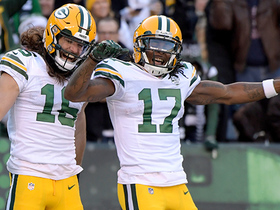 He has operated as the Packers' fifth receiver since making his NFL debut Week 13. 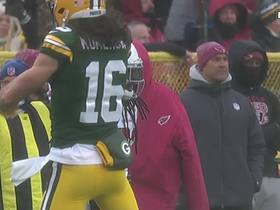 Kumerow caught one pass for 11 yards in Sunday's loss to the Cardinals. Kumerow (shoulder) was activated from injured reserve Saturday. Kumerow (shoulder) is expected to be activated from injured reserve Saturday, Rob Demovsky of ESPN.com reports. Special Teams Coordinator Ron Zook said Thursday that Kumerow (shoulder) could be an option at kick returner if he's activated from injured reserve, Josh Tolentino of The Athletic reports. Analysis: The Packers have until Dec. 12 to evaluate Kumerow for a promotion to the 53-man roster. With Trevor Davis (hamstring) having battled injuries all season, Kumerow's ability to return kicks could realistically prove a convincing reason for Green Bay to eventually promote him from injured reserve. The 26-year-old has been sidelined since mid-August with a sprained shoulder. The Packers didn't activate Kumerow (shoulder) from injured reserve ahead of Saturday's deadline, making him ineligible to play Sunday in Minnesota, Ian Rapoport of NFL Network reports. Analysis: Green Bay opened a spot on the 53-man roster by moving linebacker Nick Perry (knee) to IR, but opted to replace him with another defensive player in lineman James Looney. Kumerow's lack of activation doesn't close the door on him playing in 2018, as the Packers will still have until Dec. 12 to evaluate him for a promotion to the roster. Kumerow has been sidelined since mid-August with the sprained shoulder, which interrupted what had been a stellar preseason for the 26-year-old wideout. Kumerow (shoulder) returned to practice Wednesday, Rob Demovsky of ESPN.com reports. Kumerow (shoulder) did not return to practice Thursday, Michael Cohen of The Athletic reports. Head coach Mike McCarthy does not expect Kumerow (shoulder) to return to practice this week, Josh Tolentino of The Athletic reports. Analysis: Kumerow has spent the entire season on injured reserve thanks to a shoulder injury he picked up during the preseason. While it isn't clear where he currently stands in his recovery, McCarthy's lack of optimism regarding Kumerow's immediate availability suggests the receiver still has at least a few more hurdles to clear before gaining clearance to retake the field. The Packers intend to place Kumerow (shoulder) on injured reserve Monday, Ian Rapoport and Mike Garafolo of NFL Network reports. Kumerow (shoulder) did not practice Monday, Jason Wilde of ESPN.com reports. Analysis: Kumerow suffered a sprained SC joint in his shoulder at the end of an 82-yard touchdown play during the team's second preseason game against the Steelers and has been held out of practice for over a week. The camp sensation has made a strong impression thus far, with six catches for 190 yards and two touchdowns in limited preseason action, but he'll need to get healthy sooner rather than later to secure a spot on the 53-man roster. Kumerow is reportedly dealing with a sprained SC joint in his shoulder, Jason Wilde of ESPN.com reports. Analysis: Per the report, Kumerow's issue will require some rest, but shouldn't take too long to heal. Meanwhile, Tom Silverstein of the Milwaukee Journal Sentinel relays that the Packers expect to have a more accurate report on Kumerow's status by Monday, pending further testing the receiver is slated to undergo. Kumerow is having tests on his injured shoulder, Rob Demovsky of ESPN.com reports. Analysis: Kumerow said the injury is nothing more than a stinger, but he'll apparently need tests to make sure it isn't anything serious. He's already made a strong case for a spot on the 53-man roster, catching six passes for 190 yards and two touchdowns through the first two weeks of the preseason. 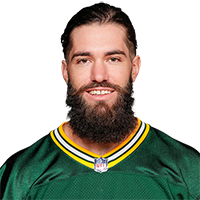 Kumerow announced after Thursday's preseason game that he suffered a shoulder stinger during the contest, Rob Demovsky of ESPN.com reports. Analysis: The camp sensation suffered the injury at the end of his impressive 82-yard touchdown against the Steelers. Kumerow downplayed the severity, revealing that it was only a stinger. With that, his status for the Packers' third preseason game doesn't appear to be in serious jeopardy. Kumerow injured his shoulder in Thursday's game against Pittsburgh. Analysis: Kumerow has been impressive as he fights for a depth receiver role in Green Bay. He put up 114 yards and a touchdown on three receptions prior to his injury Thursday, including an 82-yard touchdown grab. It's unclear if he'll return to the game or if the team will rest him for the remainder to avoid making the injury worse. Regardless, the issue isn't thought to be serious and shouldn't effect Kumerow for long. Kumerow caught three of seven targets for 76 yards and a touchdown in Thursday's preseason win over the Titans. Analysis: Kumerow has impressed since camp began and has even drawn praise from starting quarterback Aaron Rodgers. He followed up his strong practice performances by keeping the momentum going Thursday night. The Packers have a lot of intriguing young receivers fighting for just a couple of roster spots, but Kumerow is undoubtedly part of the conversation. Green Bay Packers quarterback Aaron Rodgers finds wide receiver Jake Kumerow for an 11-yard gain. 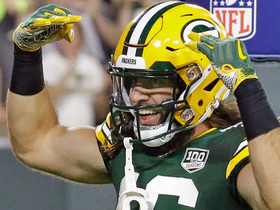 NFL Network's Peter Schrager explains why Packers wide receiver Jake Kumerow is the player who won Thursday night.